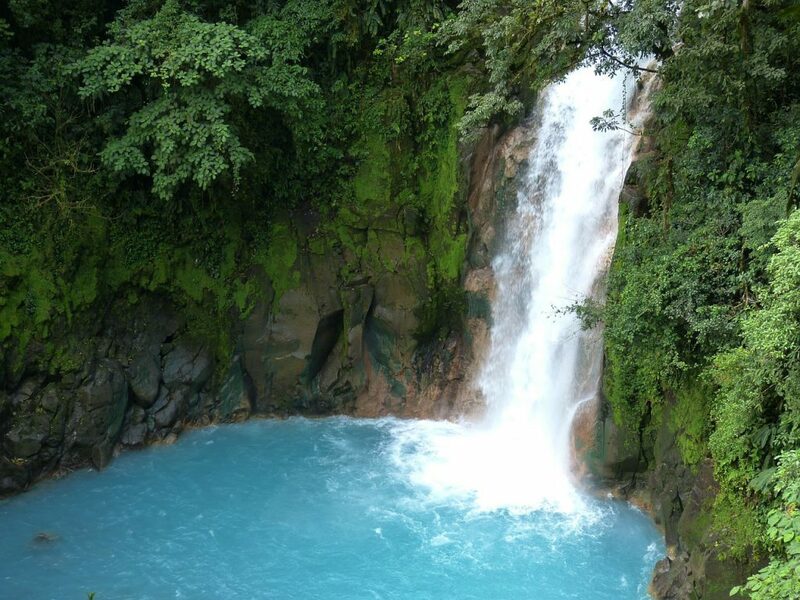 Costa Rica is a natural wonder with 20 natural parks and eight biological reserves with nature covering a quarter of the country and approximately 5% of the earth’s lifeforms thriving in a pristine environment. 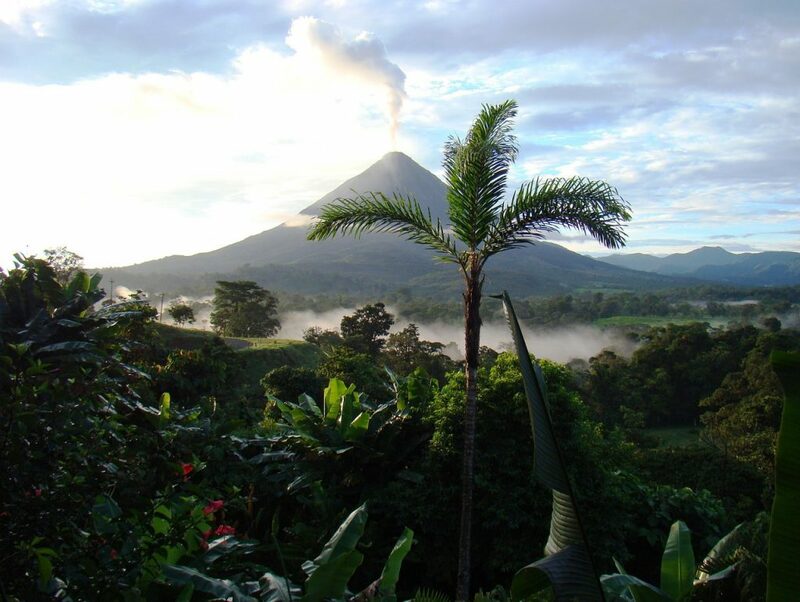 Nature lovers will find themselves surrounded by exotic birds, monkeys, butterflies, sea turtles, and tropical flora and fauna to name a fraction of the ecological beauty that is Costa Rica. Accommodations in Costa Rica are as varied as the landscape itself and the country offers options for every type of traveler…. Best of all, Costa Rica is a very safe destination for travelers with a very stable democracy. The country has been twice nominated and once awarded the Nobel Peace Prize. It has no standing army, choosing to allocate the country’s resources to excellent educational and health care systems, social programs and economic development. Anyone who has visited Costa Rica will tell you, however, that the best part of Costa Rica are it’s cultured, peaceful, friendly people with their “Tico” hospitality. Costa Ricans are warm, family loving, welcoming and gracious. They offer a rich culture of music, art, crafts and cuisine that embody the spirit of Pura Vida! (“pure life”) the greeting that sums up the seductiveness of this spectacular country. Located close the country’s geographical center, in the heart of its Central Valley. Home to the country’s greatest collection of museums, fine restaurants and stores, galleries, and shopping centers. Characterized by rolling green hills that rise to heights between 2,952-3,936 feet above sea level. Surrounded by high mountains, including four volcanic peaks. Home of long stretches of deserted sandy beaches as well. Driest region of the country. Puntarenas,one of the main commercial ports in Costa Rica, is located here. Ferries connect the Nicoya peninsula to San José and mainland Costa Rica. Nature and active sports lovers favor this region. 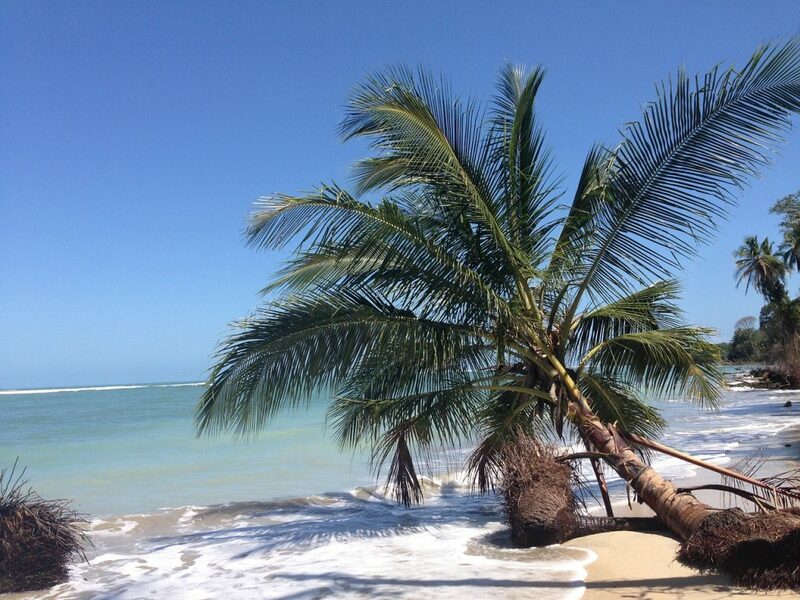 Playa de Jacó beach, with its party vibe and great surfing, is an hour from San José and attracts visitors and Tico tourists alike. Home to dense rainforests, large national parks and rugged coastlines. Hot, humid lowland with rivers, rainforests and banana plantations. This area can be rainy, especially between December and April. Costa Rica has a year round spring-like climate, but there is considerable regional variation in rainfall and temperature. Coastal regions are hot and humid and average between the mid 70’s to low 90’s. Lightweight clothing and sunscreen are recommended. San José and the Central Valley temperatures range between the low 60’s to the low 70’s, but are cooler in the mountain regions. Long pants and a light sweater or jacket may come in handy in the evenings. Rainy or “Green Season,” is from May to November, with mornings typically sunny. Rain ponchos are recommended. Rains decrease in July through the beginning of August. The official currency of Costa Rica is the colon, but U.S. dollars are widely accepted. U.S. dollars and travelers checks can be exchanged in banks and in most hotels. It is illegal to exchange money anywhere else. Major credit cards and traveler’s checks are accepted throughout the country. ATMs are becoming more widely available in the major tourist areas. Most independent guides will require cash for tours you arrange yourself locally. The standard in Costa Rica is the same as in the United States: 110 volts AC (60 cycles). U.S. citizens need a passport, valid for at least six months past your return home and a round trip or continuing ticket. A three month tourist visa is issued to U.S. citizens after clearing Costa Rica customs. Non U.S. citizens, please check passport and visa requirements for your country directly with the Costa Rica Consulate. Children under 18 years old, traveling without both parents or legal guardians, should have a notarized letter of authorization signed by the missing parent(s) or guardian(s). A notarized birth certificate showing only one parent, a parent’s death certificate, or a court order of child custody may also be permissible. Failure to supply documentation could result in the airlines denying boarding due to international child protection laws. Bothersome insects are generally not considered to be any more of a problem in Costa Rica than they are in the U.S. and Canada. 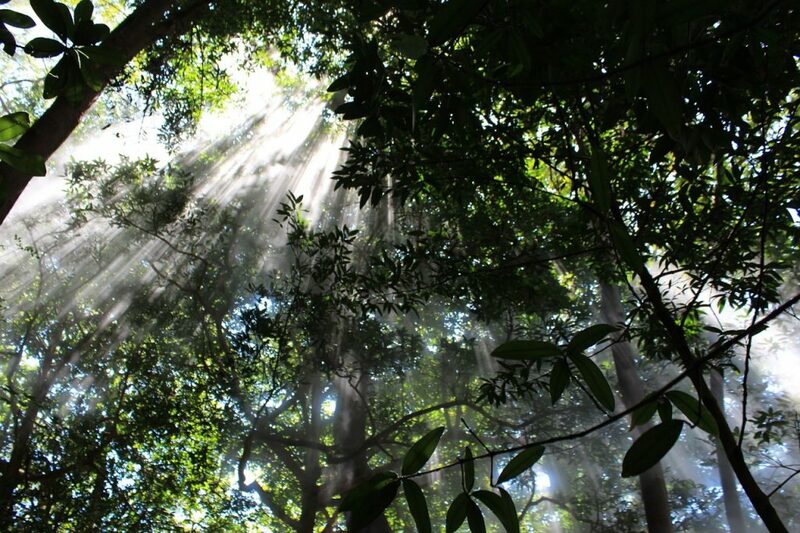 Common sense precautions are recommended when visiting rain forests, high altitudes, beaches or for evening walks. Insect repellent is recommended. The official language is Spanish, though many Costa Ricans speak English. Reliable doctors, clinics, hospitals and pharmacies are available, but can be limited outside of cities and towns. Cash payment is expected for health services. Travel insurance, including medical evacuation, is highly recommended. Public offices, banks, most businesses and shops will be closed on Jan. 1 – New Year’s Day, March/April – Easter Week, April 11 – Juan Santamaria Day, May 1 – Labor Day, July 25 – Guanacaste Day, Aug. 15 – Mother’s Day, Sept. 15 – Independence Day, Nov. 2 – All Soul’s Day, Dec. 25 – Christmas Day. Costa Rica is on Central Standard Time and Daylight Saving Time is not observed. If you are ready to begin planning a family vacation in Costa Rica, a Costa Rica destination wedding , an eco-adventure or a relaxing beach getaway, our Costa Rica travel specialists at Dreams and Destinations are available to help you create your own Pura Vida! experience.